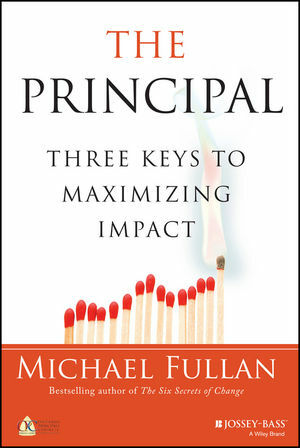 I recently read Michael Fullan’s book, The Principal, Three Keys to Maximizing Impact, where he argues the importance and methods of the Principal as instructional leader. He does not suggest the Principal individually mentors and/or provides feedback for each teacher in the school. Doing so would stretch the Principal’s time too thin and also not leverage the many other professionals in the building who can provide feedback to teachers. Instead, the Principal should create a learning culture among teachers with high expectations and openness to receiving and responding to feedback from peers. Helping set the conditions for a truly effective professional learning community is paramount. The book’s purpose is to share why and how Principal’s should do this and while I fully support the conclusions of the book and learned from the process of implementation, I also kept thinking about the varied forms of feedback teachers receive on a daily, even period by period, basis from their students, rather than colleagues. So, rather than attempt to summarize Fullan’s argument in 700 words in this blog post, I will share some questions educators can ask to take advantage of the feedback they receive from students. Creating a culture of collaboration where teachers can inspire and learn from each other is important. As is creating culture of reflection, where teachers have the motivation and capacity to reflect on their practice by recognizing and taking advantage of the potentially overwhelming amount of feedback teachers receive from students. Learn a lot – develop understandings and competencies that make them more thoughtful and capable. Find learning purposeful – be interested in putting their learning to use for their benefit, the benefit of others and for the natural world. Were my students on task and self-directed? Did they need frequent redirection to focus on the task? Were students surprised or disappointed to find out the period was almost over? Did students do their best work? Were students keen to share their learning with others, such as their peers, their teachers, and their families? The proof is in the pudding. The traditional feedback for whether we are doing a good job as teachers is student achievement. Do my students have a deeper understanding of big ideas and curricular content than at the beginning of the period/day/unit/year? In what areas have students developed their curricular and core competencies including communication competencies, thinking competencies and personal and social competencies? What do you know now that you didn’t at the start of the day? Why does it matter? What can you do better now than at the start of the day? How is this helpful? What do you want to do with your learning? What did I do today that ensures my students know I care about their well-being and growth as learners? What did I learn today? How will I put this learning to use? Being a member of a professional learning community that shares innovative ideas and helps educators reflect on their practice is of vital importance. The incredible work of the Network of Innovation and Inquiry in BC, the work of Innovation Teams in West Vancouver, and the continuous work of colleagues in schools has made this clear to me. But as teachers are exposed to unceasing feedback from students, being mindful, reflective and open to this feedback is also of essential importance. What other questions are helpful to make the most of student feedback? ← Why Do You Do What You Do?